Midland is business-oriented. City and county governments are responsive to the needs of business and industry. Often referred to as the "Wall Street of West Texas" Midland serves as a regional center for finance, healthcare. manufacturing, agriculture and professional services. With more than seven million square feet of office space, the city ranks among the state's leaders in total office facilities. Industrial land and buildings are also available. 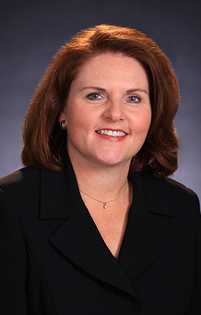 Companies that do business here find Midland's Central Time Zone location to be of benefit. There is only a one-hour time differential between Midland and the east coast and a two-hour differential to the west coast - making nation-wide business transactions easy. 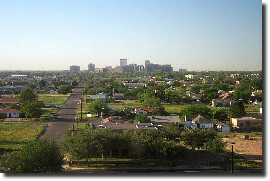 The Midland/Odessa metropolitan area boasts a population of approximately 240,000 with a labor force of 100,000. People from surrounding towns, including Big Spring and Andrews, augment the city's skilled and productive labor force. The Midland Development Corporation offers incentives to qualified new and existing employers who create jobs for the community. 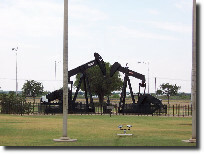 Since the discovery of oil, Midland has been the pulse of the West Texas oil industry. More than 21 percent of the nation's crude oil and natural gas reserves are found within a 150 mile radius of Midland. Numerous oil and gas companies make Midland their home, as do the many businesses that support the oil industry. A combination of factors, including a low crime rate, ample water supplies, quality law enforcement and fire protection and clean. wide streets, result in a sense of security and a high quality of life. In addition, a well-maintained infrastructure and a high quality educational system combined with outstanding cultural, sports, recreation, healthcare and convention facilities make Midland one of the nation's most livable communities. Midland is committed to quality education, and this commitment extends through all grade levels. The median educational level of Midlanders ranks among the highest in the country, and the area's school systems consistently produce an unusually high percentage of National Merit finalists when compared with cities of equal size. Midland County offers educational options for students from kindergarten through the twelfth grade via two independent school districts as well as private and parochial schools. Post-secondary opportunities are also available. 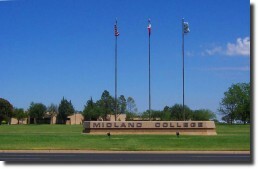 Midland College, a two-year community institution, offers 56 fields of study, as well as a four-year degree program and continuing professional education in a number of areas. 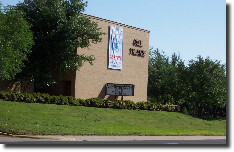 The University of Texas of the Permian Basin (UTPB), located twenty miles away in Odessa, provides 28 areas of instruction as part of its four year degree and graduate programs. Two additional community colleges are located in Odessa and Big Spring, contributing to the diversity of programs and course offerings in the area. Vocational and technical trades are taught through the community colleges and several specialized educational facilities. Post-secondary institutions listen and respond to industry needs for customized training programs. 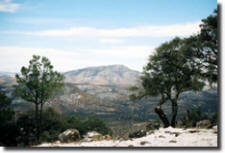 Dependable utility services are available at competitive rates throughout West Texas. In fact, the largest supply of clean-burning natural gas in the nation is located beneath the region's surface, assuring that ample supplies are available for both commercial and residential use. Electricity is supplied through a combination of gas, coal and nuclear powered plants throughout the region. Midland has a more-than-ample water supply. The water needs of industry and residents are met by both underground and surface water sources. The city controls 700,000 acre feet of underground water resources and the Colorado River Municipal Water District operates the O.H. Ivie Reservoir, including Lake Spence and Lake Thomas, which contain 65.9 square miles of surface water. Midlanders work hard ... and play hard. More than 300 days of sunshine each year, low humidity and moderate temperatures mean fun is always in the forecast. Numerous city parks and playgrounds provide the opportunity for jogging, biking, softball, swimming, tennis and countless other outdoor activities. Five area country clubs boast outstanding golf and tennis facilities, while Hogan Park and Nueva Vista, the city's public courses, provide 54 holes of challenging play. Clear weather and first class facilities have made West Texas a destination point for flying and soaring enthusiasts. Private health clubs offer an array of fitness-oriented activities including weight training, aerobics, league play and other activities. Swimming is a popular sport enjoyed at ten public pools, and competitive swimming is available through the City of Midland Swim Team, which has gained international recognition. The Midland Rockhounds, a professional franchise of the Oakland A's, brings professional baseball action to one of the most popular stadiums in the minor leagues. Softball is played on outstanding diamonds scattered across the city, and national championship quality college basketball can be enjoyed at Chaparral Center on the Midland College campus. These exceptional facilities have drawn national softball, and NJCAA All-Star Basketball Tournaments to the city each year. The Odessa Jackalopes have brought ice hockey to the area, playing in the Ector County Coliseum, in Odessa, 20 miles west of Midland. Midland's highly educated population is also a well entertained population. From high-brow to hoe-down, Midland's varied cultural activities offer something for everyone. Outstanding theatrical productions including musicals, comedies and dramas are presented year-round at the city's nationally-acclaimed Midland Community Theatre. During July and August, you can hiss the villain and cheer the hero at the uniquely outrageous Summer Mummers, an old-time, popcorn-throwing melodrama staged in the historic Yucca Theatre. The city's museums are truly outstanding and span a broad range of subjects. The Permian Basin Petroleum Museum and the Chaparral Gallery offer an exciting look into the oil and gas industry as well as the Chaparral race cars. The Museum of the Southwest highlights the art and culture of the southwestern United States. 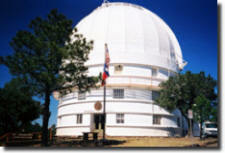 Young people can enjoy educational, interactive fun at the Fredda Turner Durham Children's Museum, catch a glimpse of the nighttime sky at the Blakemore Planetarium, or research West Texas history at the Nita Stewart Haley Library and J. Evetts Haley History Center. The Commemorative Air Force and American Airpower Heritage Museum commemorate America's aerial accomplishments from 1939 through 1945 and offer ongoing international symposia on WWII history. This joint facility, dedicated to preserving the heritage of World War II aviation, attracts more than 100,000 visitors to the area each year. In addition, the Commemorative Air Force holds annual airshows at the Midland International Airport. The Midland/Odessa Symphony and Chorale presents outstanding pops and classical musical performances featuring renowned guest artists. Chamber music is performed throughout the year by several ensembles. One can spend a summer Sunday evening on the lawn of the Museum of the Southwest, where a number of local and regional musicians provide relaxing entertainment. Or find art, music, food and fun at one of the many festivals ranging from a Celebration of the Arts in May to Septemberfest to the Working Ranch Rodeo in November. Special interest clubs such as The Chess Club, The Native Plant Society, The Midland Gem and Mineral Society and The Flatlander's Ski Club offer plenty of options for enthusiasts to enjoy their hobbies. Excellent healthcare, reasonable cost of living, ease of travel, beautiful weather, as well as all the amenities of a much larger city make Midland attractive to retirees. Conventions of all sorts as well as business and leisure travelers find Midland an attractive destination. Scenic lakes, campgrounds and wilderness areas are easily accessible to the recreation-oriented population that calls Midland home. 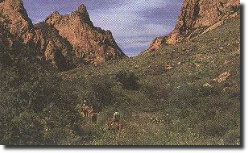 The gateway to West Texas adventure, Midland is only a few hours drive from the dramatic scenery of Big Bend National Park, the underground splendor of Carlsbad Caverns in New Mexico and the natural beauty of the Guadalupe and Davis Mountains. 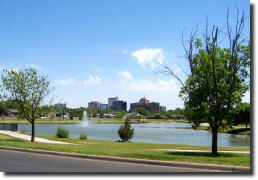 Twelve lakes are within a 150-mile radius of Midland. Six local bass clubs have a combined membership of 500 fishermen (and women). One out of ten Midland households owns a boat. Weekend adventurers and outdoor enthusiasts will find hiking, rafting, mountain biking, soaring, snow skiing, water skiing, windsurfing and hunting within a short drive of Midland.